"Mason's prose is at times as lovely as poetry, and wry humor deftly offsets her grim tale to devastating effect. This tale has more twists than a corkscrew and you'll find yourself surprised at nearly every turn... Mason has written a quirky and downright thrilling treat that is not to be missed." "Mason strides confidently into Coen brothers territory with her highly entertaining, solidly plotted debut about loneliness and the need for companionship...With sly wit, Mason tweaks genre clichés while respecting crime fiction tenets." 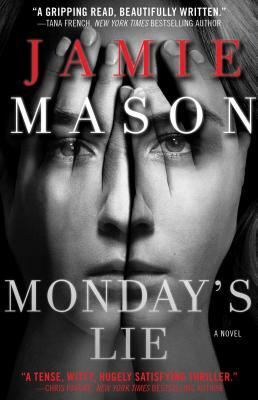 "Mason’s quirky debut novel deftly weaves dark humor into a plot that’s as complicated as a jigsaw puzzle but more fun to put together...Mason’s written a dandy of a first outing with not a single boring moment."